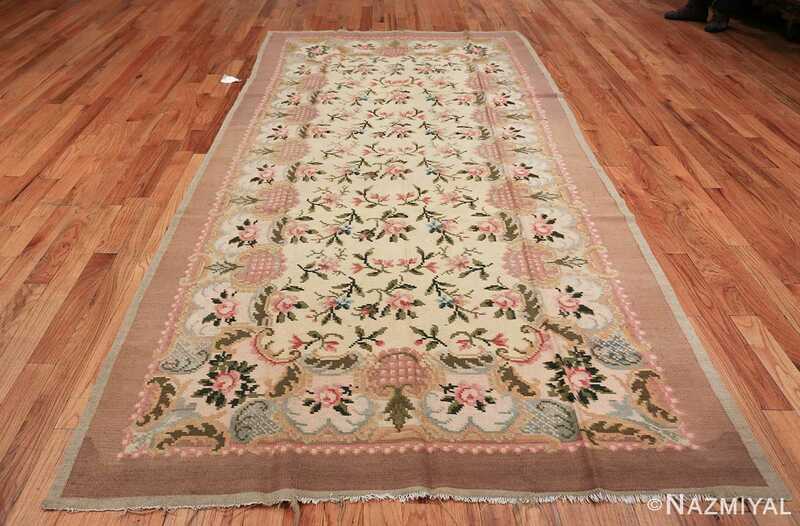 This vintage flat woven Romanian Bessarabian kilim carpet features beautiful and elegant floral designs. 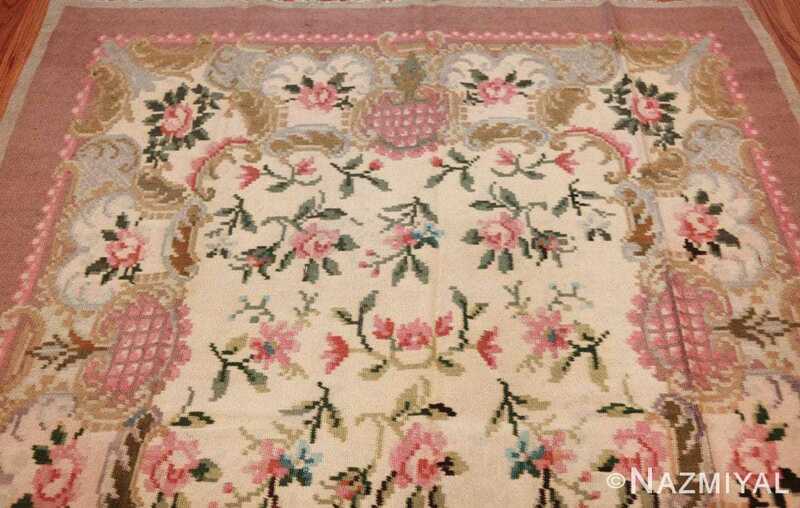 The colors seen throughout the design are soft, giving this Romanian rug a very sweet and romantic appearance. The floral rug design elements themselves are quite delicately drawn out, which gives this vintage mid century rug a beautiful innocent charm. 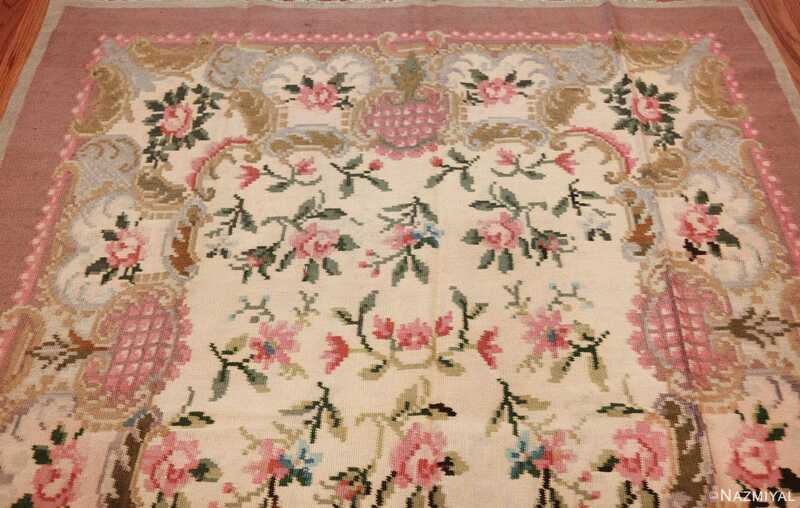 Soft pink with light blue flowers are sprinkled throughout the main ivory colored background of this flat woven Kilim rug’s field. These flowers create a majestic juxtaposition that, in turn, makes this rug a beautiful decorative piece for wide range of different interior design approaches. 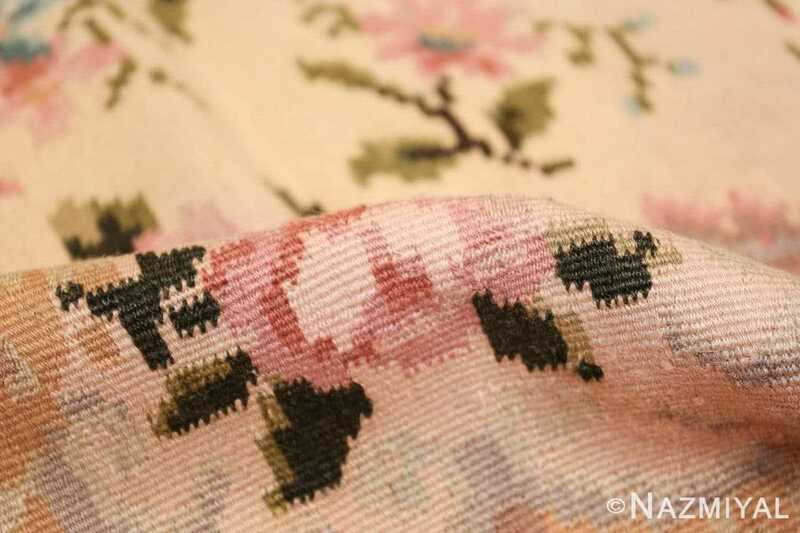 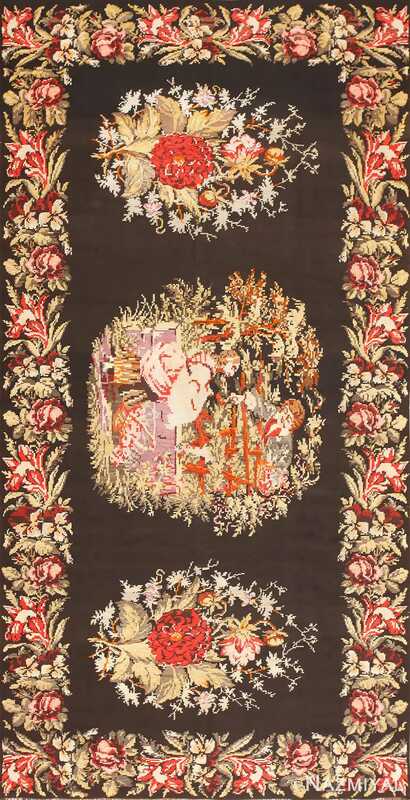 The very center of the rug features the most delicate of the floral designs. The repeated and symmetrical appearances of the pattern within this main field area give a sense of order to the overall artistic impact. 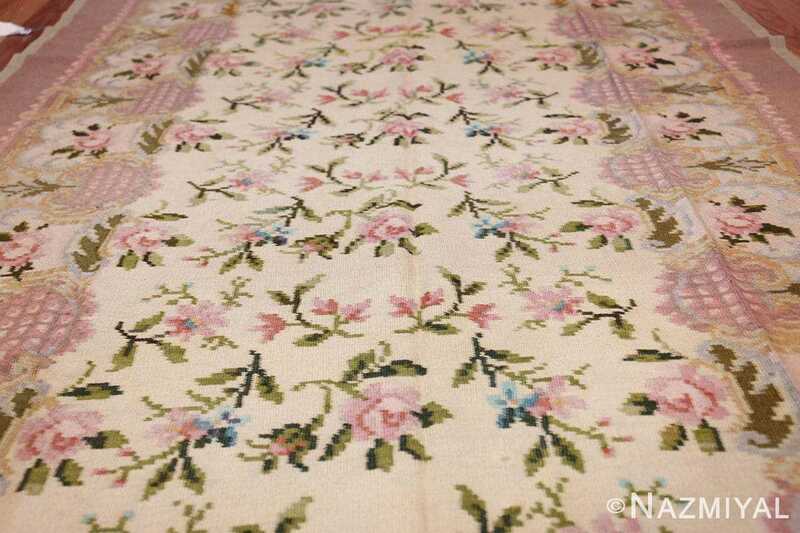 Around this central field we see a fascinating approach to the design of the border. 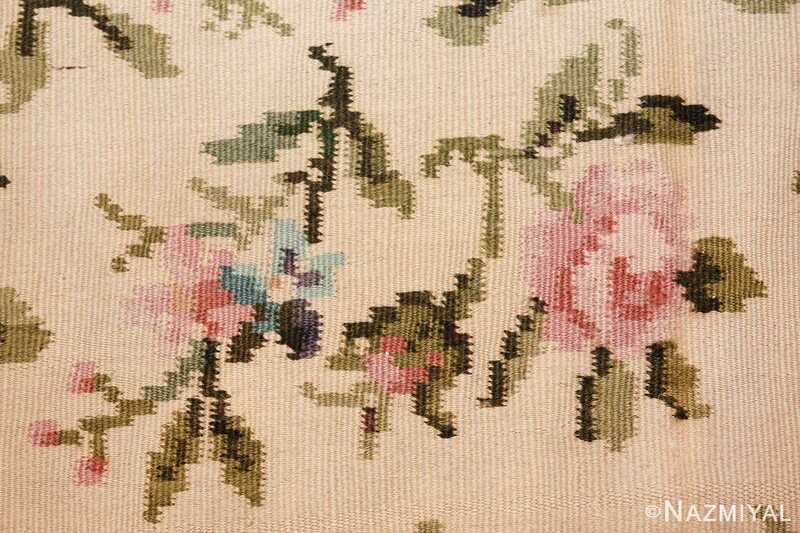 Here we find the larger sized shapes and framed floral designs. 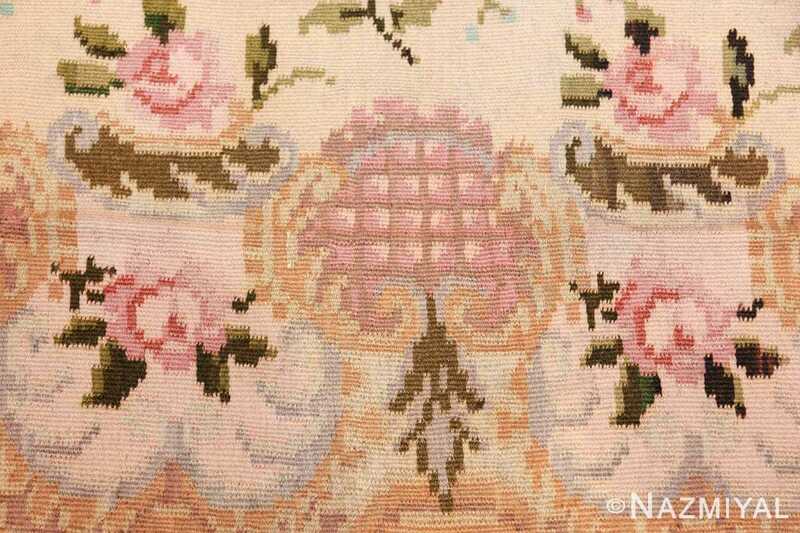 We also see filigree elements in complementary tones that resemble and echo the designs from the central field. 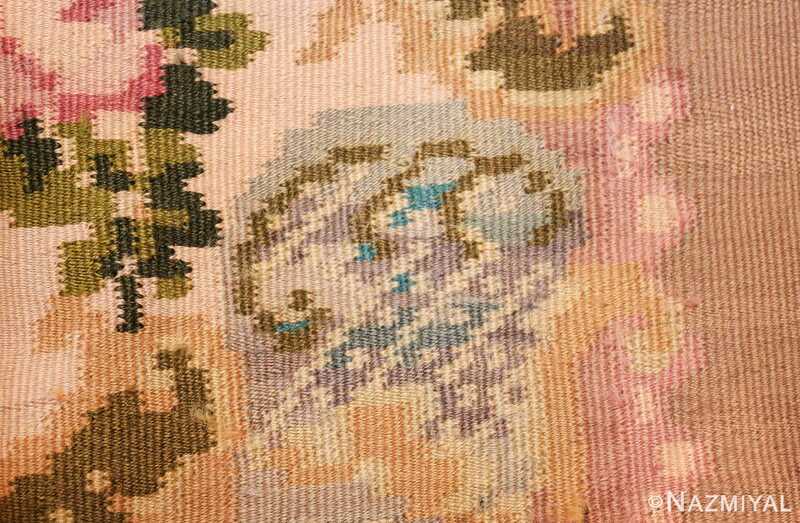 Around the edge and framing the entire flat woven vintage Romanian Bessarabian kilim rug, we see solid colored borders. 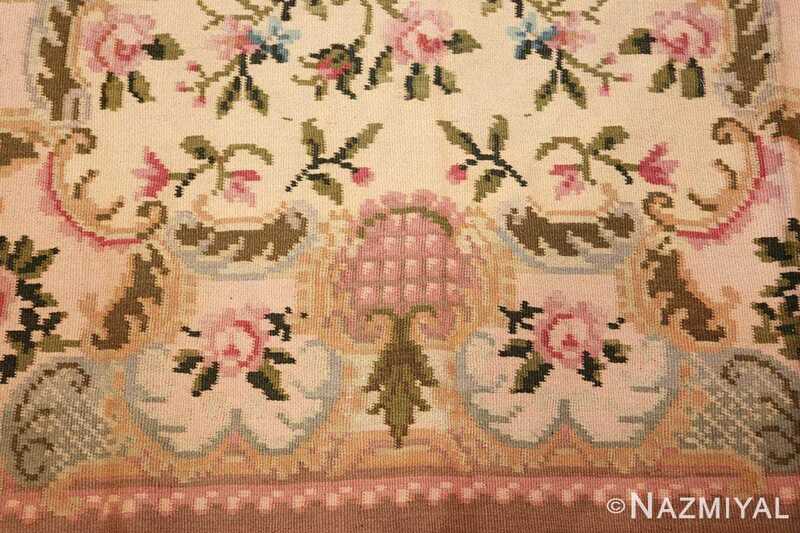 These “design-less” solid colored borders boasts the same soft tones that are present in the floral designs of the rug itself. 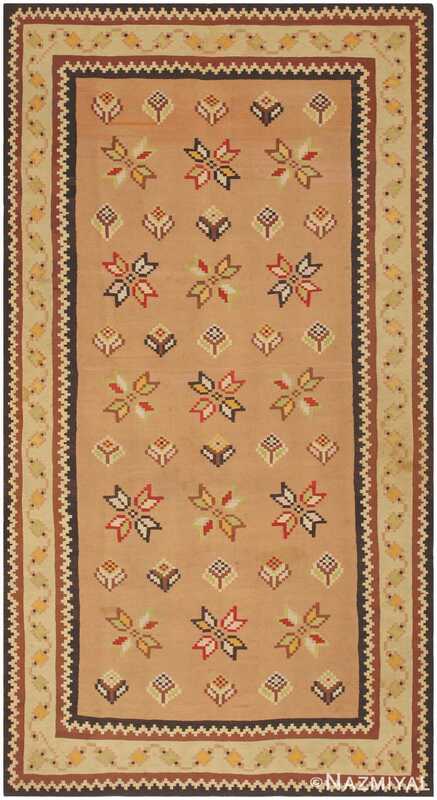 The fact that the same colors are used and mirrored throughout the entire Bessarabian Kilim rug, from inner field to outer border, gives the rug a sense of harmony and completeness that makes it beautiful to look at. The French inspired floral design of this rug style combines a lovely vintage feel with timeless design elements. 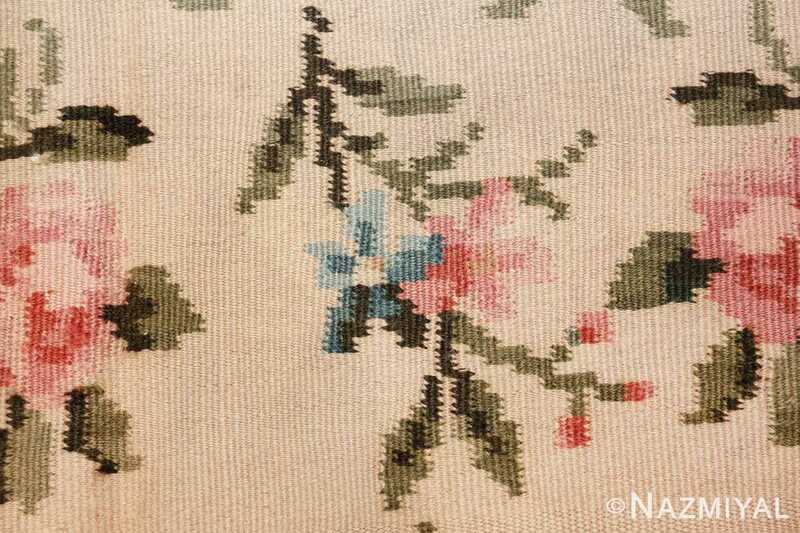 This makes the beautiful Bessarabian kilim rug a wonderful option for a wide range of decorative interior design styles and applications.